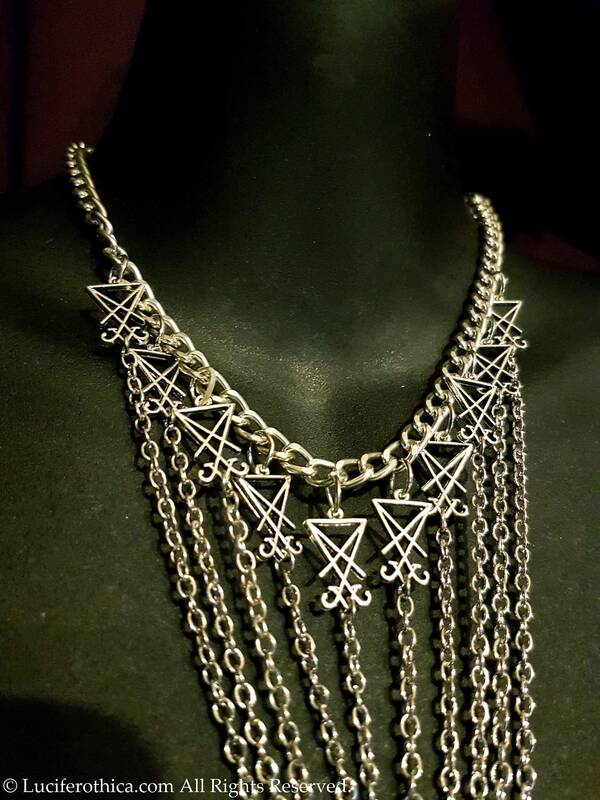 Sigil of Lucifer Body Chain Harness. 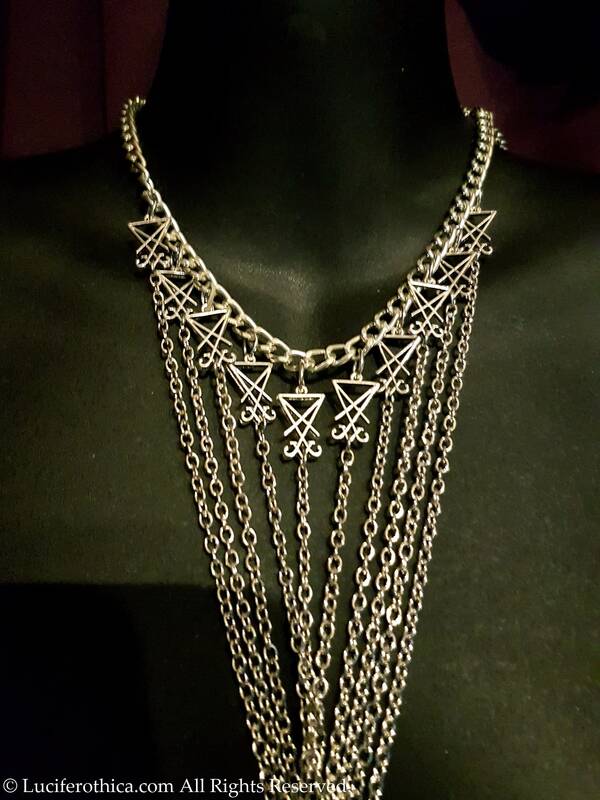 - Silver colour mini Sigils of Lucifer at the top. Again so beautiful but the materials aren’t built to last. 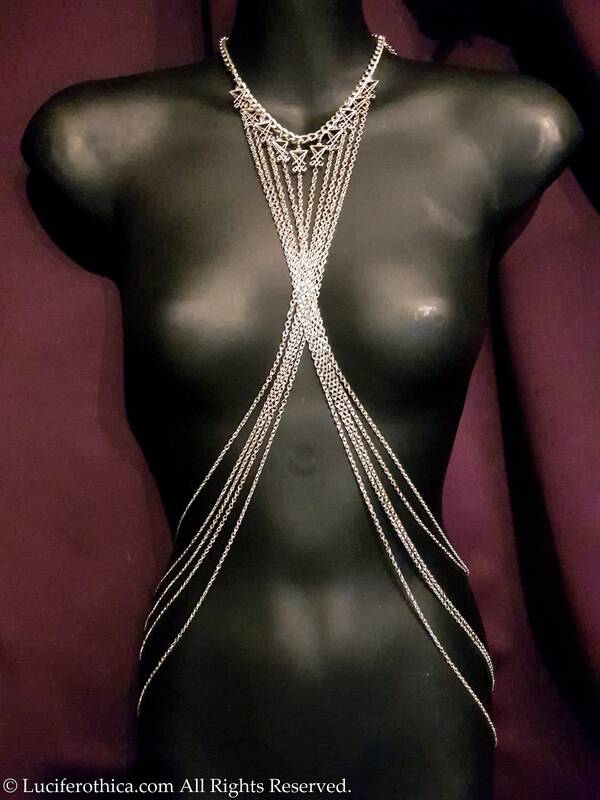 The chain was made very small so this looks nothing like the mannequin photo when you wear it. Absolutely gorgeous, just perfect in every way.